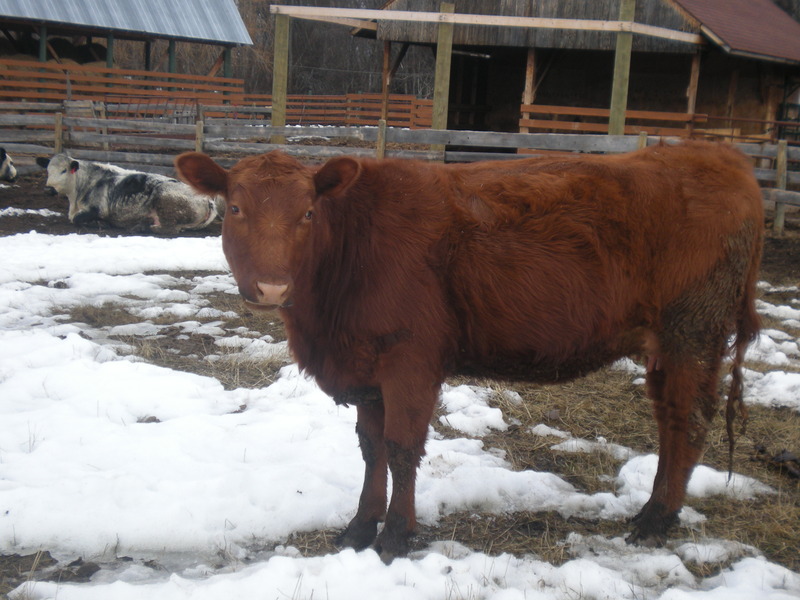 Freckles: A straight bred Speckle Park. This was our orphan and our first Speckle Park. 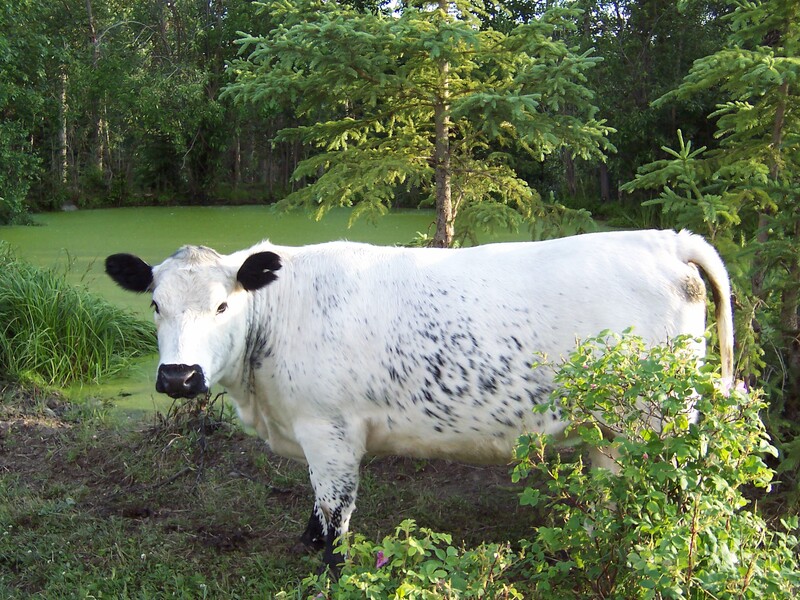 We instantly fell in love and she is the reason Diamond K Ranch raises this truly wonderful breed of cattle. 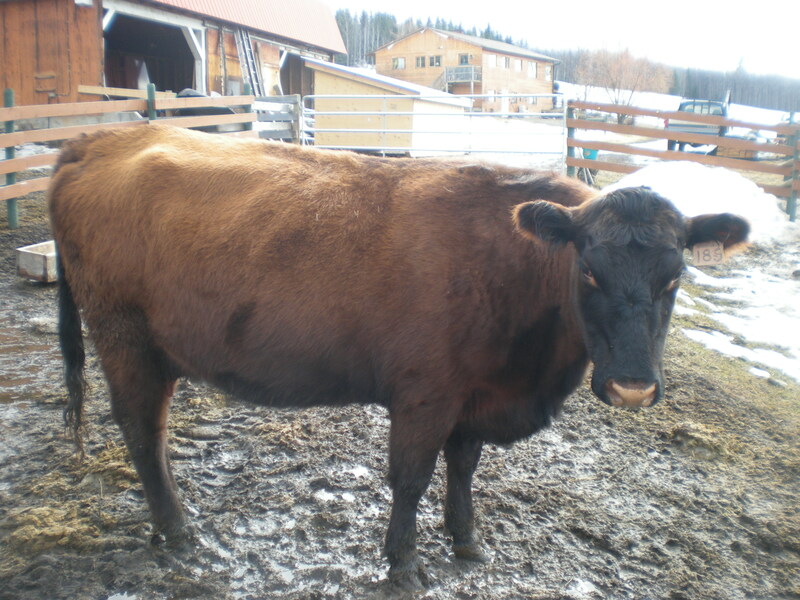 Belle: A Straight Bred Red Angus Cow that our daughter Jessie owns. 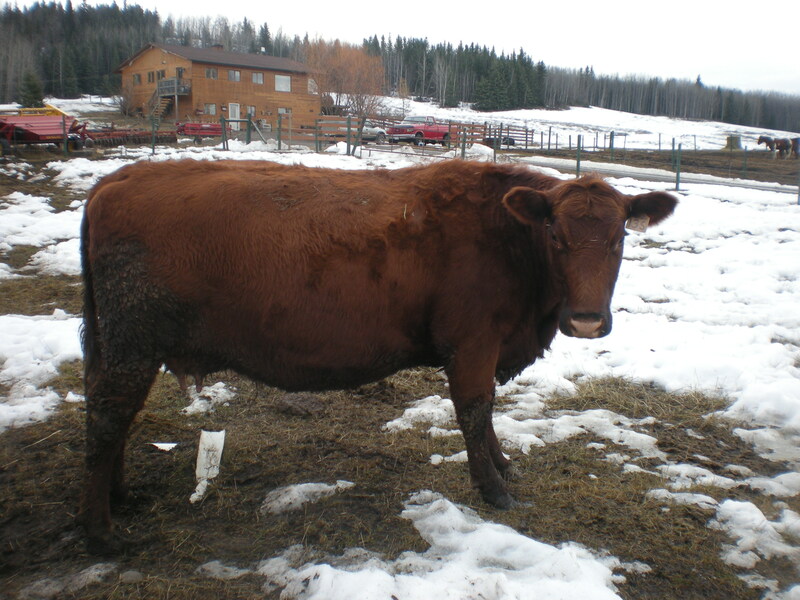 Diamond: A Straight Bred Red Angus Cow.